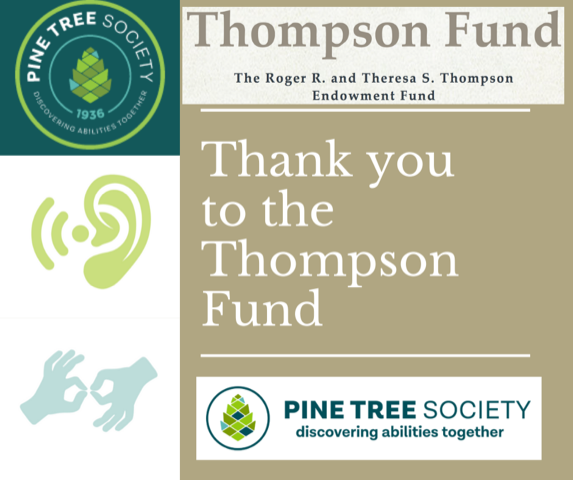 On December 18, it was announced that Pine Tree Society would be one of six non-profits in New Hampshire and Maine to be awarded a grant of $15,000 from the Roger R. and Theresa S. Thompson Endowment Fund. 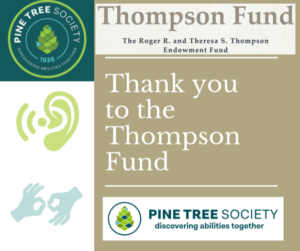 The Forecaster spoke with Pine Tree Society’s President & CEO Noel Sullivan to share how the funds will be used and why it is so important to the organization. Portsmouth, New Hampshire (December 13, 2018) – The Roger R. and Theresa S. Thompson Endowment Fund announces the awarding of $117,000 in grants to six non-profit organizations in New Hampshire and Maine. Among the beneficiaries, the Trustees of the Trust, Charles Doleac, Kenneth Barrett and Holly Ayes Malloy have approved a grant to the Pine Tree Society of Scarborough ME to transform the educational experience of children who are deaf and hard-of-hearing by providing funds for program research and development to launch pilot Teacher of the Deaf services in southern Maine. Santa Claus visited Dysart’s in Bangor this month to have breakfast and take gift requests from children. All proceeds from the event went to benefit Pine Tree Camp! Our friends from WABI5 stopped by to check it out and interviewed Tyler Cary, Pine Tree Society’s Donor Relations Officer. In October, two new members were appointed to our Board of Directors. Craig A. Mason, PhD is a Professor of Education and Applied Quantitative Methods at the University of Maine. He specializes in Developmental Epidemiology and Biobehavioral Informatics. As a member of the Board, he also serves on our Program Committee. Visit his website to read more about his research and publications. Leo A. Soucy, a Maine native, is the Vice President of Bath Savings Trust Company, with over 28 years in the investment management and trust industry. In addition to being a Board member, he joins our Finance Committee. Learn more about Leo here. Welcome Craig A. Mason, PhD and Leo A. Soucy to Pine Tree Society’s Board of Directors!